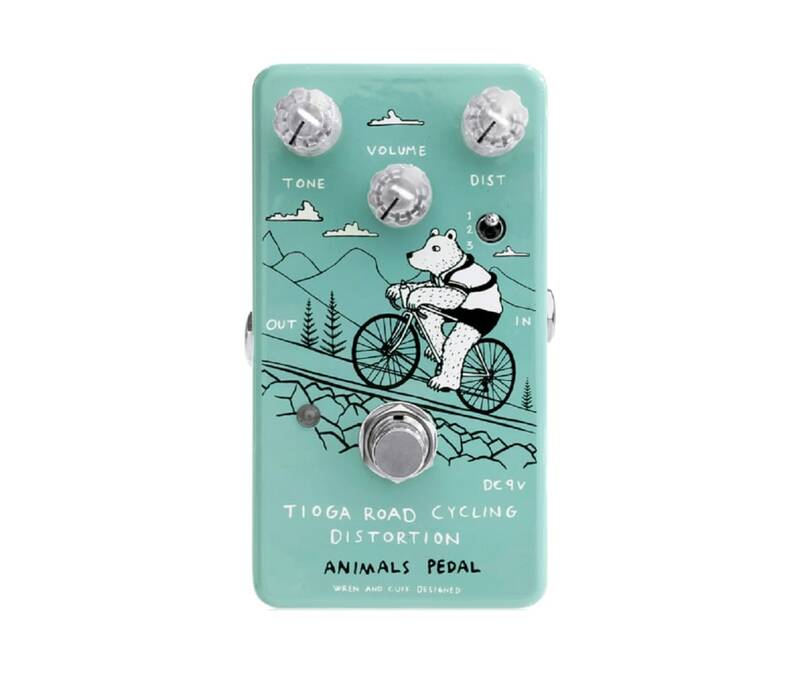 Animals Pedal Tioga Road Cycling Distortion was created in conjunction with reknowned pedal builder Matthew Holl from Wren and Cuff. It evokes classic late '70s and early '80s "rodent-style" distortion tones revamped with fatter lows. It also boasts three gain modes: Two distinct distortions and an overdrive/clan setting making it an extremely versatile dirt pedal. Dist: Adjusts the strength of distortion. Toggle switch: Switches the texture and volume of distortion. Tone: Controls the tone, centering on high frequency components. The high range becomes stronger in the clockwise direction, and the low range is emphasized counterclockwise.